The mission of Hunter’s Tree Service, Inc. is to provide you with skilled tree care and friendly customer service while taking care of one of your most valuable resources. Our company was established by Tony Hunter. After completing high school, Tony was employed by a tree care company before enrolling in Lees McRae to study biology. While a student, he cut and sold firewood and did tree work to earn extra money. Tony became aware of the great need for tree care in the area. His experiences inspired Tony to pursue a career in arboriculture. Tony and his wife, Judy, are both certified arborists and they recognize the value of professionalism. 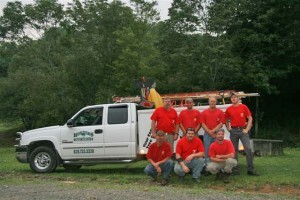 As a result, Hunter’s Tree Service, Inc. has trained arborists on staff who stay up to date on current arboricultural and safety techniques.